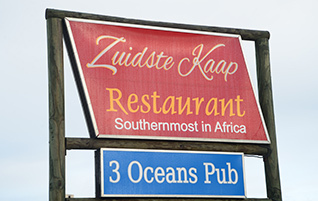 Nestled in the picturesque Cape Agulhas, the southernmost town in Africa, is the ever popular Zuidste Kaap Restaurant. We are a fully licensed family restaurant with a relaxed atmosphere backed by the wonderful tune of nostalgic music. There is a patio with outside tables and umbrellas, while a roaring fire will keep you warm on a cold winter’s day. The restaurant is wheelchair friendly. At Zuidste Kaap we cater for small tour groups, and larger groups by prior arrangement. 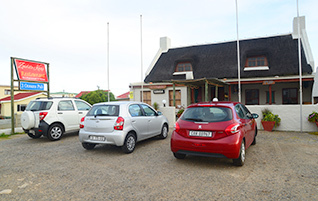 Zuidste Kaap is owned and run by Neels Grobler since February 2010. His friendly, warm approach to the restaurant industry makes him successful and certainly the most preferred restaurant in the area. 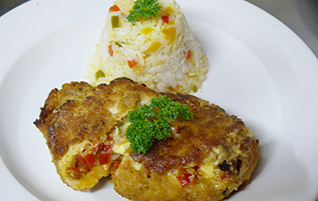 At Zuidste Kaap restaurant, the menu caters for all tastes with a wide variety of delicious meals. All our food is freshly prepared with great care and LOVE. Banting friendly and takeaway meals are available. 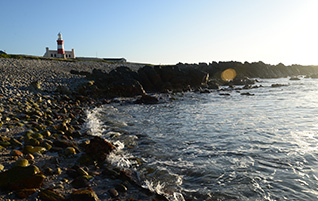 Cape Agulhas sits at the southernmost tip of Africa on a rocky headland where the Atlantic and Indian oceans spectacularly collide - a delightful holiday experience to relax and absorb the beauty of nature. 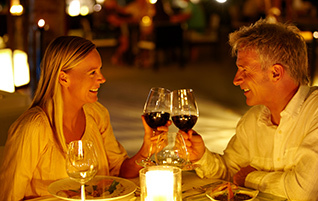 We have tried to include the best that our Western Cape wine farmers have to offer with our comprehensive wine list.